In Dormant Sky, you assume the role of Seeo, a hopeful young swordsman seen as a pariah by the very people he wishes to protect. His innate ability to channel magic has been unseen for generations and he and his closest friend wish to understand more about the source of their near-extinct abilities. After the resurrection of an ancient cult brings about disaster, Seeo is forced into a conflict much bigger than he could ever imagine. Will he learn to control his abilities and fight to protect all he knows, or will he be consumed by his power and those who would utilize it for evil? This is your story. *Fight your enemies by combining your party members' skills via Turn Based Combat. *Witness a captivating storyline accompanied by a soundtrack inspired by the likes of Yoko Shimomura & Nobuo Uematsu. *Discover the true origin of your abilities. Realize your destiny. At the entry level, gain access to our Patron exclusive news feed. All upcoming news categorized as patron-only will be at your finger tips. Fans hungry for all upcoming news Dormant Sky should take a look at this reward tier. With this pledge, you will be eligible for alpha/beta testing. (Low Priority / Selection made at random on a monthly basis.) You also gain access to Patron-only news as stated in the previous reward. With this pledge, you will be sent a sample of the Official Dormant Sky Soundtrack. All previous rewards are also yours to claim. With this pledge, you will be eligible for alpha/beta testing. (Medium Priority / Selection made at random on a monthly basis.) You also gain access to Patron-only news as well as the Official Soundtrack Sample. 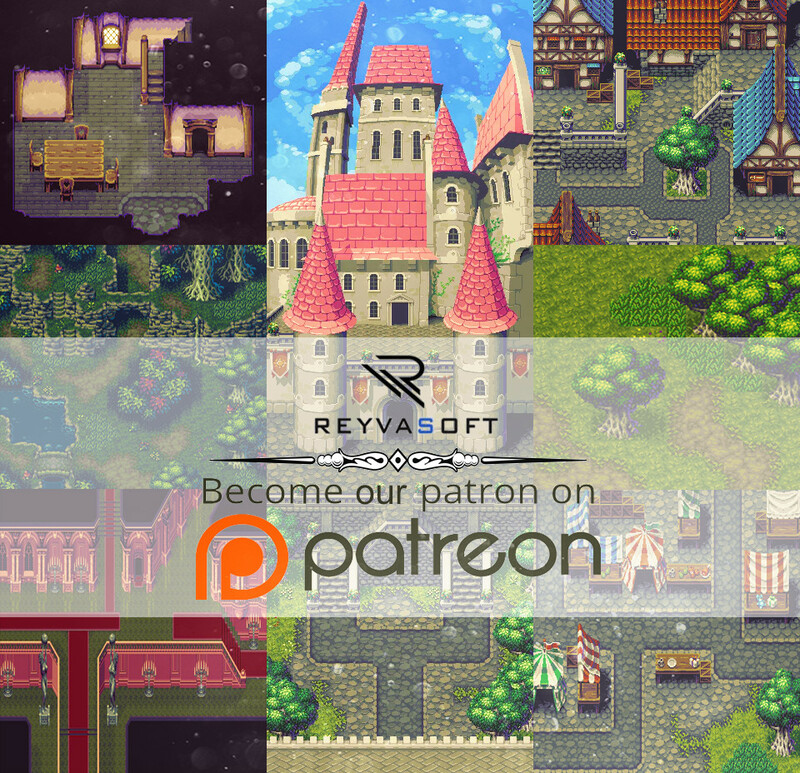 With this pledge, you will be recognized as an official partner of ReyvaSoft in regards to the development of Dormant Sky. Your name will be included in the credits of the project and you also qualify for all earlier rewards. With this pledge, you gain access to our official Discord channel. Here, you will have a direct means of communicating with the dev team. We will be submitting exclusive behind-the-scenes content here. For the true Dormant Sky enthusiasts! You also qualify for all previous rewards. With this pledge, you will be eligible for alpha/beta testing. (HIGH Priority / Selection made at random on a monthly basis.) You also qualify for all previous rewards. With this pledge, you have guaranteed alpha/beta testing rights. Not only will you be testing the playable demo, but you will be an official tester for Dormant Sky throughout it's entire development. You also qualify for all previous rewards. Welcome to the team. You're one of us. With this pledge, we will work closely with you to not only design a non player character, but also create a side-quest in which your character features prominently. In this way, you are directly influencing the design of the game! You also qualify for all previous rewards. Limited Quantity Package.